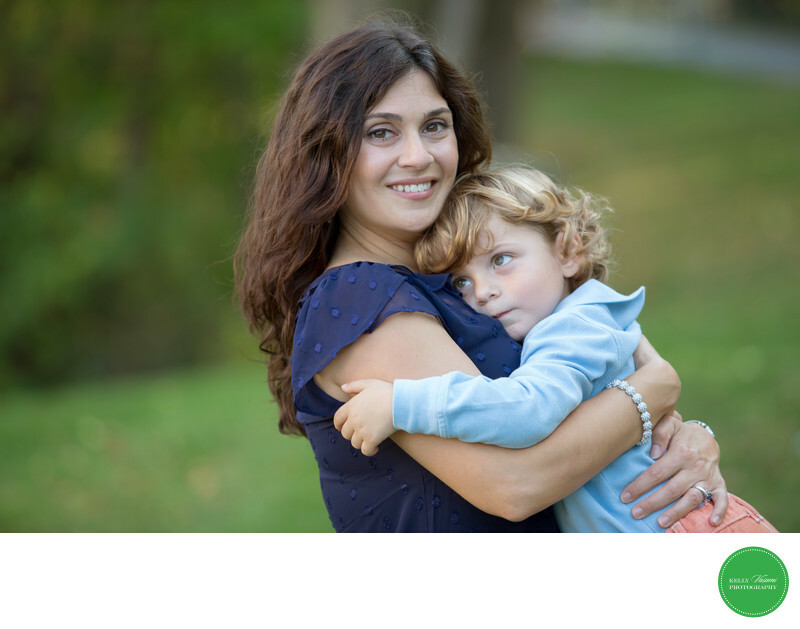 This lovely mom and her sweet son embrace lovingly for the camera. His big blue eyes are gazing up and match his sky blue shirt. His long blonde curly locks are just so cute. Mom is adorn in navy blue and looking directly at the camera, beaming a smile of mom pride.